Keri's Kreativity: If the Crown Fits! I am back with another incredibly cute image from SBS! 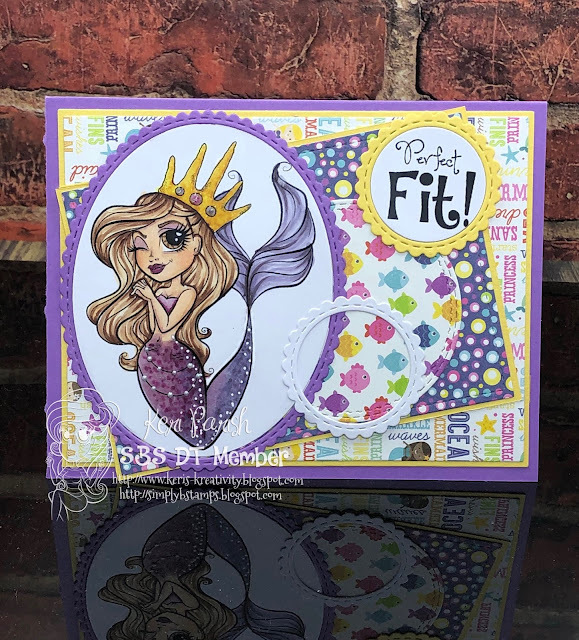 This is from the new release and is called If the Crown Fits! I added some pearl drops to the accent around her waist. I used mermaid 6x6 paper pad and glossy accents to the crown gems.